Neem Oil, Hair Growth And Hair Loss. 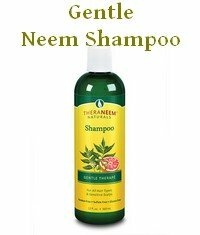 Does Neem Hair Oil Work? Neem Oil, Hair Growth And Hair Loss. 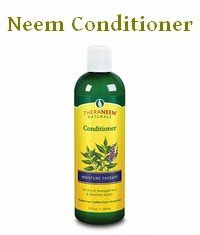 Does Neem Hair Oil Work? to improve hair growth or combat hair loss? Yes, apparently neem oil works. Neem hair oil regularly receives rave reviews from customers. What I find interesting is that the expensive luxury brand hair oil, which uses neem leaf extract rather than neem oil, gives the same results as using straight neem oil on your hair and scalp. Neem oil can relieve dry and itchy scalp, dandruff, the symptoms of scalp psoriasis, as well as giving you silky, shiny, stronger hair and encourage growth. It really makes a big difference, and it does so seemingly over night. People who have already tried everything to help their thinning, dry hair are besides themselves when seeing the immediate improvements after using neem oil hair products. How Does Neem Hair Oil Work? Healthy hair is the result of a healthy scalp, and your scalp is part of your skin. Everything that's been said about the use of neem oil for skin care is also relevant to using neem oil for your hair. But don't focus only on the neem oil. 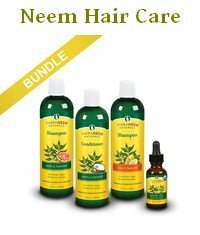 Traditional Indian hair beauty treatments use neem leaf. A watery extract, basically a tea made from neem leaves, is used as a rinse to prevent hair loss, and neem leaf paste is used like a conditioning pack. Those neem hair treatments soothe any irritations, prevent dryness and flaking, nourish the scalp and improve its general immunity and health. Exactly as they do for the skin on the rest of your body. So where does neem oil come into it? All parts of the neem plant have the same ingredients, but in different amounts. The oil has the highest concentration of Azadirachtin, the substance that's responsible for the effect of neem oil on insects and other parasites (like mites). Problems with hair lice? 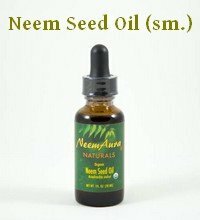 Neem oil is what you need. 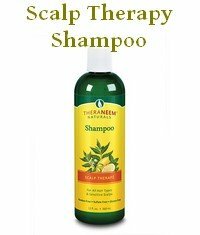 And as you solve the hair lice problem you notice that the neem treatment also leaves your hair shiny and silky, soft but strong. Neem oil does have the same effect that the leaf extract has, but it is less pleasant to use. Because it stinks. On the other hand it is certainly easier to get hold of for most people than fresh neem leaves. Most people's skin/scalp is dry from too much exposure to harsh chemicals, environmental toxins, not to forget the stuff in your average shampoo. Oil is good. Oil is a rich, nourishing treatment. Regular warm oil treatments, say with for example olive oil or coconut oil, are beneficial for your hair in any way. A neem hair oil based on other oils and enriched with neem leaf extract is probably the ideal way to use neem on hair. You have the benefit of an oil treatment and the benefits of neem, combined with ease of use and a beautiful scent. But if you already use neem oil in your household or garden, then you can also use just that. (I'm talking about pure, organic, raw neem oil). For an intensive treatment massage neem hair oil into your hair and scalp, leave it for 30 minutes at least, up to over night, and then wash your hair with neem shampoo. You'll love the difference.